Lisa Blair is officially the first woman of circumnavigate Antarctica. The record was ratified by the World Speed Sailing Record Council a few days ago. Blair, who left Albany in western Australia on 22 January 2017 completed the voyage in 183 days, 7 hours, 21 minutes and 38 seconds. Her record breaking feat, on board her 50-foot yacht, Climate Action Now, was not without incident. 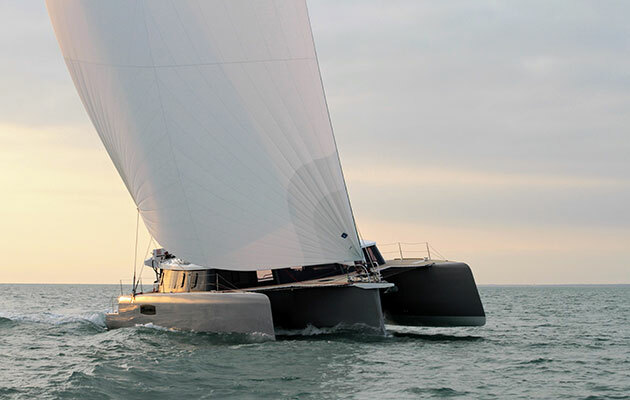 After 72 days of travelling solo and unassisted, her yacht was dismasted. Cheeki Rafiki: A boat designed for disabled sailors is to be named in memory of Cheeki Rafiki sailor, James Male. Lisa was rendered fuel from a container ship, built a jury-rig and motor sailed herself safely to Cape Town in South Africa. After spending two months there, the Sydney-based sailor departed Royal Cape Yacht Club, Cape Town bound for Albany on Sunday, 11 June 2017. She sailed back to the position of the dismasting and crossed her track, re-sailing the section again unassisted. On July 25, 2017, Lisa Blair arrived in Albany, completing her journey. The final leg of the trip found Lisa battling seasickness, snowstorms, a severe knockdown, and exhaustion. It has been an epic voyage which has seen Lisa Blair knocked down, dismasted and tackling giant waves. But, the courage and determination of this Australian sailor has certainly paid off. On Friday (21 July), Lisa crossed her original track at 45 South, making her the first woman to sail solo around Antarctica below 45 degrees. “I had 3 years of preparations and 6 months at sea and in Cape Town to reach this point. I have had knock downs, giant waves, winds strong enough to rip the roof of your house, snow storms, hail, I have been dis-masted, had my collision with a container ship and managed through all of it to just keep going,” wrote Lisa on her blog. “I just kept sailing east and now I am finally at the point where I will be crossing my original track at 45 South completing a full circumnavigation of Antarctica,” she wrote. “I wouldn’t have made it without you and while I still have the final leg of the journey to run from here back to Albany, tonight I crossed the official finish line,” she continued. It has certainly been an eventful journey for Lisa Blair, who hoped to not only set a new record but to raise awareness of the impact of climate change. On 4 April 2017, her yacht, Climate Action Now, dismasted after a knock-down in 40-knot winds and 7-metre swells. She was forced to head to Cape Town for repairs, making the 895-nautical mile trip under jury rig and motor. 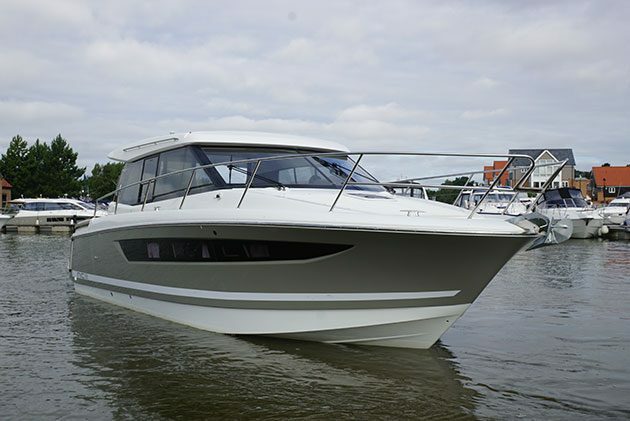 Two months of hard work followed until the yacht was seaworthy – repairs included the installation of a new mast and work on the hull and the electrical and navigation systems. Lisa then restarted her circumnavigation on 11 June, and is hoping to put in a Albany, Western Australia tomorrow (25 July). The former Clipper Round the World sailor began sailing professionally in 2006 after completing a Bachelor of Education and a Bachelor of Visual Arts at university. She has previous sailed with Vendée Globe skipper Alex Thomson. 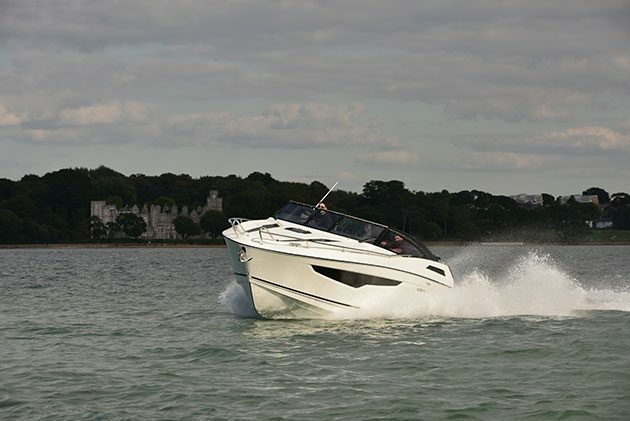 In 2014, she was the only woman to take part in the ITL Solo Tasman Challenge, which sees sailors race across the Tasman sea from New Plymouth in New Zealand to Mooloolaba, Australia. 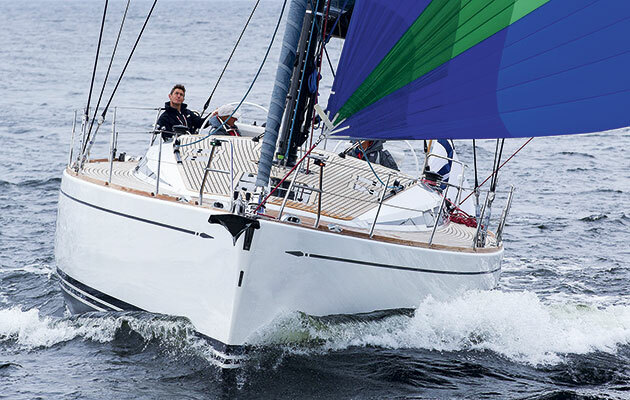 She has also competed in the Rolex Sydney Hobart Yacht Race. Australian sailor, Lisa Blair, now has less than 3,000 nautical miles to go until she completes her circumnavigation of Antarctica. The 32-year-old restarted her voyage just over three weeks ago after she was forced to put in at Cape Town, South Africa. Her yacht, Climate Action Now, dismasted on 4 April 2017 around 895 nautical miles south of Cape Town in 40 knot winds and 7 metre swells. She made it to the port under jury rig. Lisa spent two months making the yacht seaworthy, installing a new mast and repairing the hull, electrical and navigation systems. Writing on her blog, Lisa said she is confident in the new mast, having weathered some pretty big storms since restarting her voyage in the Southern Ocean. 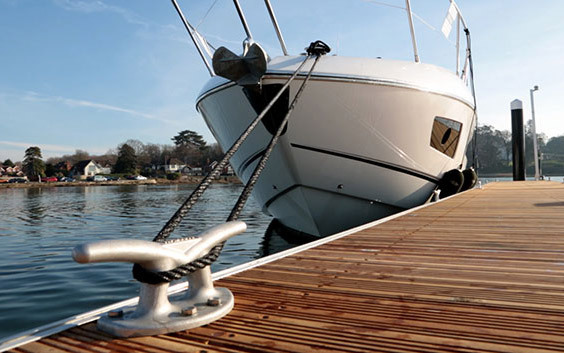 “It is good to see how the boat is holding up including the new mast. The mast itself is a very sturdy section sourced from a boat called Thunder Child. The funny thing is that I was actually berthed in Thunder Child’s pen at the Royal Cape Yacht Club only to then end up buying their old mast, quite the lucky coincidence. The rigging wire supplied by Arcus Wire and Rigging is holding it up nicely and my Lancelin ropes from My Yacht still look like new,” she wrote. Lisa said with the half-way point approaching, she is now thinking of home – Albany, Western Australia. “Coming up next is the Kerguelin Island, which marks almost exactly the halfway point of the trip and also the last island before Australia. I am sailing towards the NE to get up to the north of this island as there is a large area of shallows that surround it,” she explained. But it is not all plain sailing. Lisa said she is being “over cautious” with the main sail as chafing has resulted in small holes forming along the bottom. To deal with this, she’s been reefing early. After two months of making repairs, Lisa Blair has now restarted her attempt to circumnavigate Antarctica. The 32-year-old left the Royal Cape Yacht Club in Cape Town, South Africa yesterday (11 June). 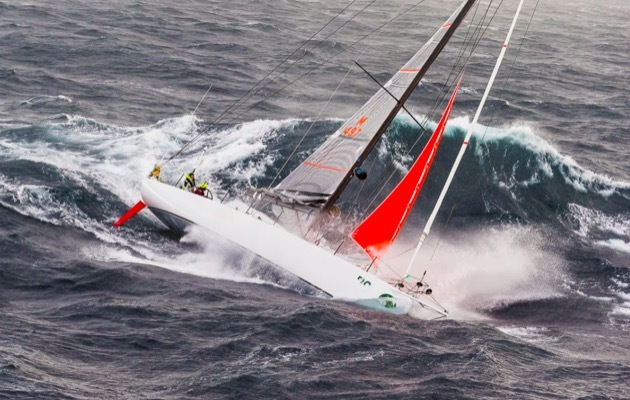 The former Clipper Round the World Sailor was forced to issue a PAN PAN on 4 April when her yacht, Climate Action Now, was dismasted after the port shroud broke in 40-knots winds and 7-metre swells. She was around 895 nautical miles south of Cape Town. Lisa Blair was on her 72nd day at sea attempting to be the first woman to circumnavigate Antarctica, solo and unassisted, when the incident happened. She decided to head to Cape Town to make repairs, and had to receive fuel from the Hong Kong registered M.V. Far Eastern Mercury on 7 April. She then travelled the remainder of her journey under motor and jury-rig until she reached Cape Town on 12 April. For the last two months, Lisa has been repairing Climate Action Now, installing a new mast and repairing the hull, electrical and navigation systems. “I am so excited to finally be sailing again,” said Lisa. “The conditions this time of year will have their own challenges and the biggest one is going to be how I cope with the cold conditions,” she added. Lisa will once again be required to traverse the Cape of Good Hope and Cape Agulhas – where the Indian and Atlantic Oceans officially meet. Sea temperatures are expected to be approximately 3-5 degrees Celsius making conditions difficult. “I have now been away for about five months so it will be so great to sail back into Albany and see my family again,” stated Lisa. “Whilst my stop was unscheduled I could not have asked for a warmer welcome and will be forever grateful,” added the solo sailor. Lisa will return Climate Action Now to below Latitude 45 degrees South and remain there for the duration of her journey to Albany. According to a media release from her shore team, this is a requirement for her circumnavigation record. She will attempt to reach Albany and complete her journey in approximately 32 days. After 80 days at sea, Australian sailor Lisa Blair arrived in Cape Town, and is now starting the to organise repairs to her yacht, Climate Change Now. The purpose-built yacht dismasted on 4 April 2017 around 895 nautical miles south of Cape Town in 40 knot winds and 7 metre swells. She was left to motor to the South African city, having taken on extra fuel with the assistance of a Hong Kong container ship, M/V Far Eastern Mercury. Lisa Blair, who was attempting to become become the first woman to circumnavigate Antarctica: solo, non-stop and unassisted, then built a jury rig to help her on her way, arriving in Cape Town on 12 April. She was greeted by members of National Sea Rescue Institute, who helped her safely dock Climate Change Now at the V&A Waterfront in Cape Town Harbour, as well as the crew of SV Delos and representatives from the Women Who Sail International Group. “While this was a completely unplanned stop, it was such a relief to have arrived after 80 days at sea and all the recent stresses that I went through. I was safe, my boat was still floating and within seconds I was handed a bottle of champagne which was well enjoyed,” wrote Lisa on her blog. Lisa Blair was whisked off to a local pub for a much needed meal and several beers, before catching up on some rest. She is now organising a schedule of repairs for the yacht. Lisa Blair is now heading to Cape Town after a few eventful days. After dismasting, Lisa had to motor towards her destination. It was quite the ordeal for the sailor to complete a fuel transfer with the Hong Kong container ship M/V Far Eastern Mercury. Next up was building the jury rig which was no mean feat. “A short while later I started to get the sails ready to be hoisted.”, writes Lisa in her blog. The following day entailed two hours of sewing and more work but finally Climate Action Now was a sailboat again. Lisa Blair is now heading to Cape Town under motor after her yacht, Climate Action Now, dismasted in the Southern Ocean. 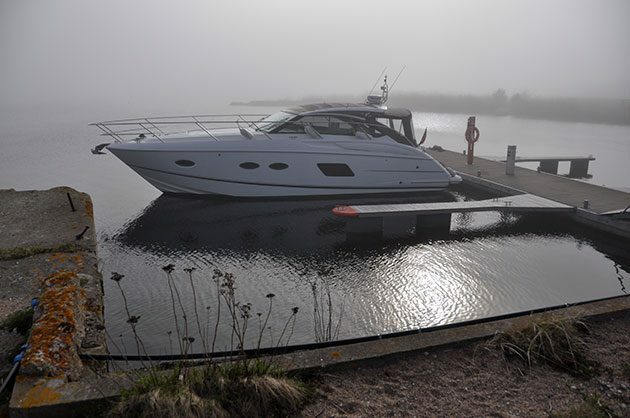 The yacht’s port shroud broke in a knock down. The incident happened at approximately 0300 (AET) yesterday (4 April) around 895 nautical miles south of Cape Town in 40 knot winds and 7 metre swells. The Australian sailor, who was uninjured, issued a PAN PAN following the dismasting. Lisa now intends to step the boom and install a jury rig with a small storm sail in place which will assist in her journey to Cape Town under motor. A Hong Kong registered vessel has been requested to rendezvous with Lisa to provide fuel and other items to assist with repairs if required. It is anticipated that Lisa’s journey to Cape Town will take approximately 10 days. She will be travelling at an estimated speed of 4.5 knots. Lisa continues to experience swells of approximately 7 metres. Once in Cape Town, she will complete a full evaluation of the damage to the yacht and determine what repairs can be made. The incident occurred whilst Lisa Blair was on her 72nd day at sea attempting to be the first woman to circumnavigate Antarctica solo and unassisted. Having passed Cape Horn earlier this month, Lisa Blair is now flying across the Southern Ocean, facing guests of up to 50 knots. 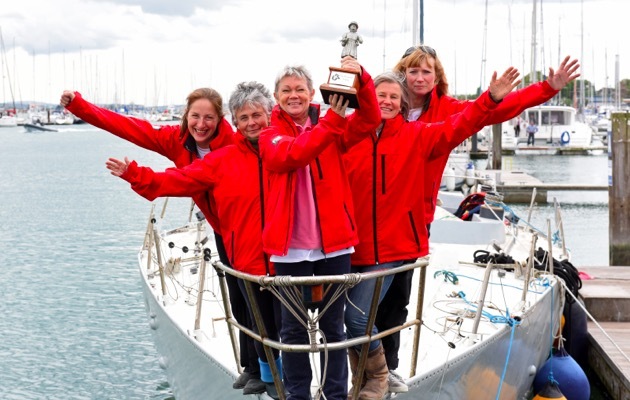 YBW caught up with the Australian skipper, who completed her RYA Yacht Masters in the UK as part of her training for the 2011-12 Clipper Round the World Race. She tells us about missing good conversation, banking sleep and what keeps her motivated. You have been sailing solo now for 64 days, how are you coping with being on your own? So far so good. I feel that because I am on the home stretch I am less patient with things as I am getting to the point where I simply want to get there. That said, over all I am still enjoying my time at sea and the lifestyle of eat, sleep, sail and I don’t feel lonely, but I know I will be looking forward to some good conversations when I get back. The boat is really bad at holding a conversation and I know all the punch lines to my own jokes. Do you have any tricks for dealing with the lack of sleep? I am a great believer of sleep banking. That is sleep when you are tired and rest at every available moment because you never really know when you are going to be needed for days at a time. Surprisingly just little snatches of sleep do help a lot so don’t discount that nap. How do you motivate yourself when things get tough? I remind myself that I’m in the final stages of three years of hard work and in reality this is the easier part of the whole thing. I also remind myself that there is only me out here and only I can fix or deal with what needs doing, so I should stop moping and do something. I basically give myself a little lecture in my head and carry on. What are the greatest dangers you face? How do you tackle them mentally and physically? You can only prepare so much with a trip like this and there are many perceived dangers like big storms and seas, the constant cold weather and icebergs. It is the attitude of ‘slow and steady that wins the race’ so when I am getting storm ready or nearing land I just need to implement my safety procedures and take my time doing things, and above all make sure that I don’t put my body in the firing line. I am the weakest link on this trip and I need to ensure that I don’t get hurt from rushing to deal with something. What is the one thing you are missing most? How confident are you that you will set the record? When I complete my journey I will have set the women’s record as I will be the first female to have ever achieved this and that is really motivating. I am currently about 60% through this voyage, and there is still another whole ocean to sail through so my finish is still a long way away, however if I can keep travelling the way that I have been then I am in with a really good shot at breaking the record. Are you looking to set more records? Put it this way I don’t plan on stopping after one, however they may not all be record attempts just interesting adventures and I haven’t yet chosen what’s next, but I will be sure to let everyone know when I know. Sydney-based sailor and adventurer Lisa Blair has successfully crossed Cape Horn in her attempt to be the first woman in history to circumnavigate Antarctica solo and unassisted. The 32-year-old is also on track to being the fastest, and only the third person to ever accomplish this feat. Day 49 was marked with Lisa’s first sighting of land – the snow capped mountains of Chile – since departing Albany, Western Australia on 22 January 2017. Her 50th day, Monday, 13 March 2017, saw her successfully round the perilous Cape Horn at 2108 AEDT (1008 UTC) with an elapsed time of 50 days, 7 hours, 44 minutes, 00 seconds. Cape Horn is considered to be the Mount Everest of sailing and is located on a perilous stretch of water which passes between the bottom tip of Chile, South America and Antarctica. The region is plagued by shallow waters, unpredictable winds, large waves and icebergs. After facing one storm front in the last fortnight, Lisa had been attempting to reach Cape Horn ahead of another with forecasted winds of 70 knots. The Antarctic circumnavigation is expected to take Lisa three months and does not permit land stops, physical contact with another person, or assistance of any kind. Lisa is racing on the Antarctica Cup Racetrack and is set to complete a time trial world record, set by Russian Fedor Konyukhov in 2008. Konyukhov completed the Track in 102 days 00 hours 56 minutes and 50 secs and is the only person to have done so to date. Currently Lisa is approximately 200 nautical miles as the crow flies from the half way point of 62 degrees west and on target to beat Kunyukov’s record. She is targeting a return to Albany in late April. Despite the chilly conditions, Lisa Blair is upbeat; she has passed the South West Cape in New Zealand and is now sailing towards Cape Horn in Chile. Lisa Blair is attempting to circumnavigate Antartica and break some records along the way. She is aiming to become the first woman to circumnavigate Antartica solo, non-stop and unassisted in less than 100 days. The 32-year-old left Albany in Western Australia on 22 January 2017 to compete in the Antartica Cup Ocean Race – the first woman to do so. Rules mean that she can’t sail above the 45th parallels south or below the 60th parallels south. Up to now, Lisa’s course has been around the 50th parallels south. She is hoping to reach Cape Horn by the end of February/beginning of March before setting a course for Cape Agulhas off South Africa. Lisa Blair has left Western Australia in her attempt to become the first woman to circumnavigate Antartica solo, non-stop and unassisted in less than 100 days. She is hoping to break the current record set by Russian yachtsman Fedor Konyukhov in May 2008. Konyukhov took 102 days, 35 minutes and 50 seconds to solo circumnavigate, with his route falling entirely between the 45th and 60th parallels south. Lisa Blair, who is the first woman to compete in the Antarctica Cup Ocean Race, is also hoping to become the first woman to circumnavigate below 45 degrees South. The 32-year-old sailor left King George Sound in Albany on 22 January 2017. Her departure had been delayed because of an electrical problem. Blair, who took part in the 2011-12 Clipper Round the World Race, will be attempting her world record in the purpose built Climate Action Now, named to raise awareness of the impact of climate change. 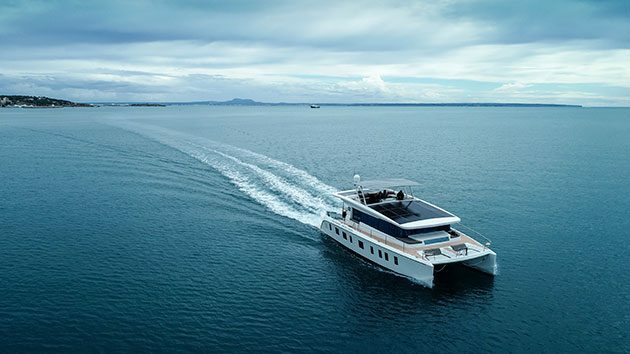 Originally based on the Open 50 racing design Climate Action Now, the yacht, which was originally called Funnel-Web, was purpose built to race in the Double Handed Melbourne to Osaka Yacht Race. “I will be taking on the gigantic swell of the Southern Ocean with all of its stormy anger while dodging icebergs and sailing in the frigid temperatures blowing off Antarctica,” noted Blair, who said winning the 2011-12 Clipper Race on board Gold Coast Australia showed her what “we are capable of if we work hard and put our minds to it”. The 16,000-nautical-mile Antarctica Cup Ocean Race passes by the world’s three most notorious capes — Cape Leeuwin in Australia, Cape Horn off the coast of Chile and Cape Agulhas off South Africa. “There was also so much to get done in Albany that I never really got the chance to just sit and assimilate the challenge before me. I was a constant blur of energy going from one task to the next and now that I am at sea I still don’t feel like I have left,” she continued. “To be honest I feel like I am just setting off for a week at sea not three months. I am sure in a few days once the initial excitement passes I will come to terms with the scale of the challenge before me,” she said. Lisa Blair began sailing professionally in 2006 after completing a Bachelor of Education and a Bachelor of Visual Arts at university. 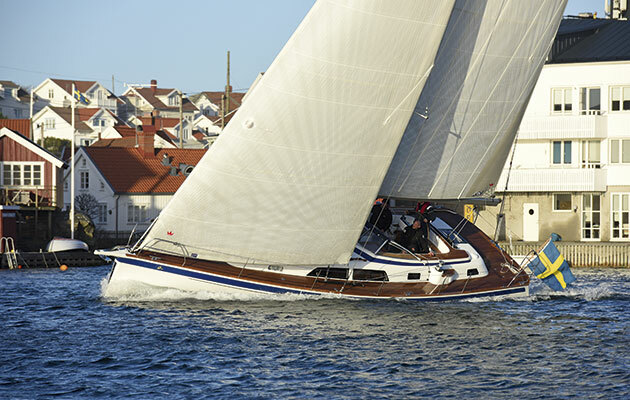 She has since clocked up more than 50,000 nautical miles of ocean sailing. Following her Clipper win, she sailed with Vendée Globe skipper Alex Thomson.